In a hidden drawer in the base of an old wooden box, Jack discovers a letter from a boy calling himself Edward. 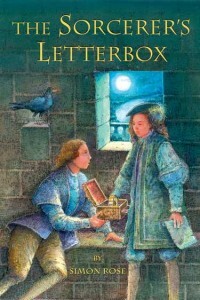 Penning a reply, Jack is astonished to be corresponding through time with the boy king Edward V, one of the famous Princes in the Tower, murdered by King Richard III. Travelling back in time, Jack attempts to rescue Edward V and his brother from their fate, but is soon fighting for his life in the terrifying London of 1483. You can always buy autographed copies of The Sorcerer’s Letterbox directly from the author.